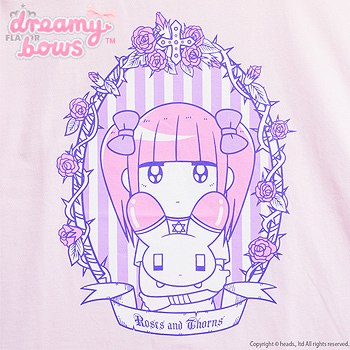 This simple and cute collaborative cutsew dress from Menhera-Chan x Listen Flavor is super soft and comfortable with a fantastic illustration of Menhera-Chan with her friend Usatan inside a frame made of thorns and roses. 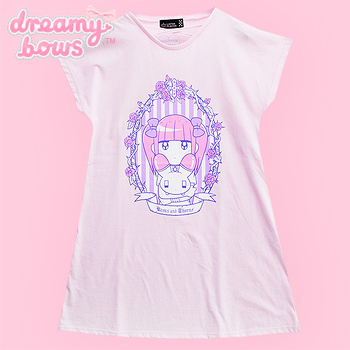 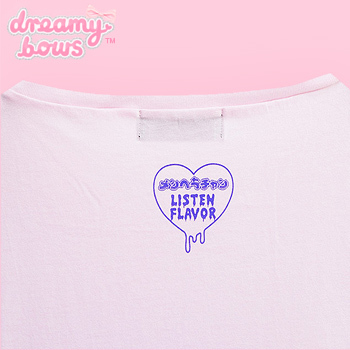 It can be co-ordinated with darker styles such as creepy cute, Harajuku Punk, and Menhera-Kei. 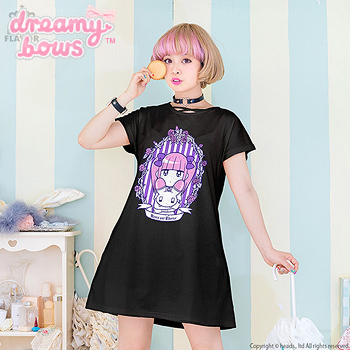 The neckline of the cutsew dress features a cross over straps and the cut of the top fits more like an a-line dress.